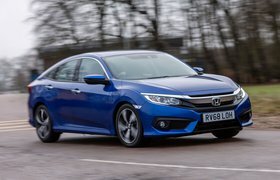 2018 Honda Civic Saloon 1.6 i-DTEC review - price, specs and release date | What Car? What do a pair of leopard-print trousers and the new Honda Civic Saloon have in common? No, it has nothing to do with Rod Stewart but everything to do with fashion. Like leopard print, the mainstream saloon car fell out of favour with buyers long ago. While you could always buy booted Ford Focuses, Vauxhall Astras and indeed Civics throughout the 1990s and 2000s, they have all disappeared in the past decade or two. But with the rise of the premium small saloon (think Audi A3 and Mercedes CLA), it would appear people are willing to ditch the hatchback for a more traditional bodystyle. 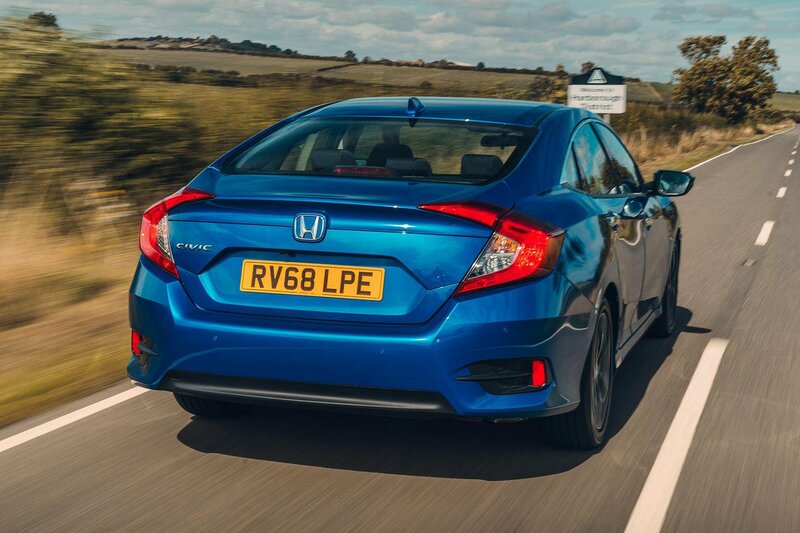 Thankfully, Honda hasn’t just welded a big box onto the rump of its Civic; instead, it has continued the swoop of the roofline to create a more elegant tail than the busy lines of the hatchback. The result is an increase in boot capacity from 478 litres to 519. But there’s more to the Civic Saloon than a bigger backside; engineers have also softened the suspension. Combine this with the 1.6-litre diesel engine and you’ve got a car that’s potentially ideal for the motorway slog. Indeed, with CO2 emissions of just 91g/km (2g/km less than the hatchback) and official average economy of 83.1mpg (2.4mpg better than the hatch) on the old NEDC test cycle, it seems to make a great deal of sense as a company car. Drive the saloon and hatchback back to back and it doesn’t take many miles to feel the marked difference between the two cars. Over a typically undulating and pockmarked B-road, the saloon smoothes out bumps far more convincingly. Hit a pothole or ridge and where the hatchback thuds noticeably, there’s much less of a fuss in the saloon. That’s not to say the saloon acts like an overfull walrus in corners; there’s barely any more body lean and it still grips tenaciously. Yes, the hatchback does feel a little sharper when you’re cornering with gusto, but we’d argue the saloon’s additional comfort makes it more appealing most of the time. 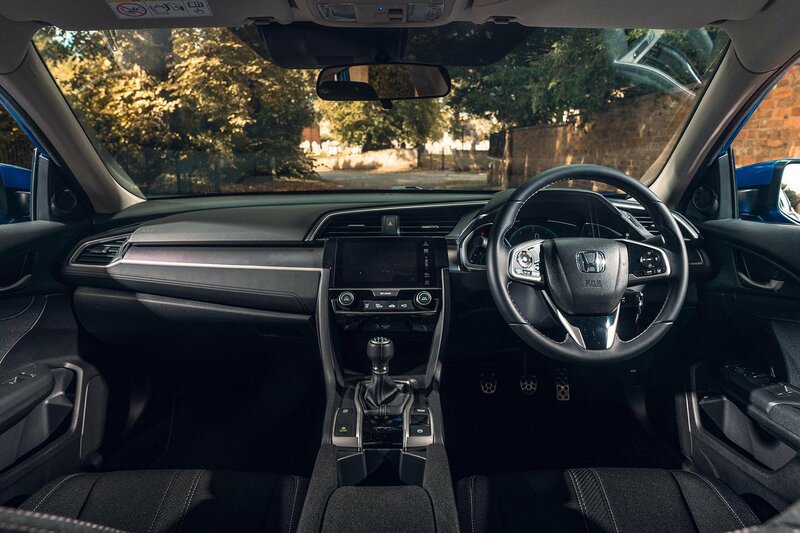 Accurate steering makes it easy to place the Civic’s nose where you want on the road, although we’d prefer it to weight up a little more when you’re cornering quickly. The six-speed manual gearbox has a short, positive action that’s enjoyable to use. If you prefer not to change gear yourself, a nine-speed automatic is available. We tried this gearbox in a hatchback, where it impressed with its smoothness and responsiveness. Whichever gearbox you choose, the 118bhp diesel feels adequate, with enough power to get you up to motorway speeds briskly enough. You'll need to work it hard to get that kind of pace, though; when you do, the diesel proves to be quieter than that of the Ford Focus, if not as hushed as the Volkswagen Golf’s. 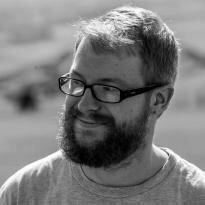 Let’s cut to the chase and talk about the Civic Saloon’s boot. The opening is wide, but naturally nowhere as big – and therefore not as practical – as the hatchback’s. Its 519-litre capacity (up 41 litres on the hatchback) certainly looks impressive compared with the Golf’s 380 litres, but it's still some way behind the Skoda Octavia’s gargantuan 590-litre boot. 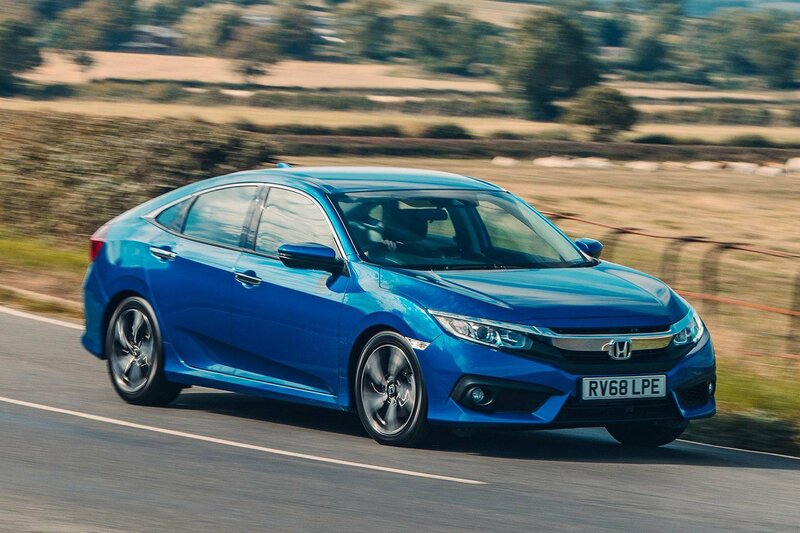 Like the hatchback, the Civic Saloon has a low driving position with the gearlever set quite high, making snappy gearchanges easy. Even though you're sitting low, visibility is good as long as you’re looking forwards. Try to do a spot of reversing, though, and the narrow rear window and thick rear pillars make it hard to see out. Thankfully, parking sensors front and rear are standard, while all but SE models get a rear-view camera. Front seat passengers will have plenty of room to stretch out, although those in the back aren’t quite so lucky. The heavily raked roofline may look good from the outside, but it does no favours for rear head room; the Golf and Focus have significantly more. It’s a shame, because rear leg room is actually very good. That said, the Skoda Octavia still trumps them all for rear space. But the Civic’s biggest problem is its infotainment system. Not only is the screen angled upwards so the sun reflects off it, but it’s laggy in its responses and the menus are confusing. Rivals' systems look sharper, too. This, like interior quality, is exactly the same as you’d get in the hatchback, so if you want to know more, check out our 16-point review of it here.